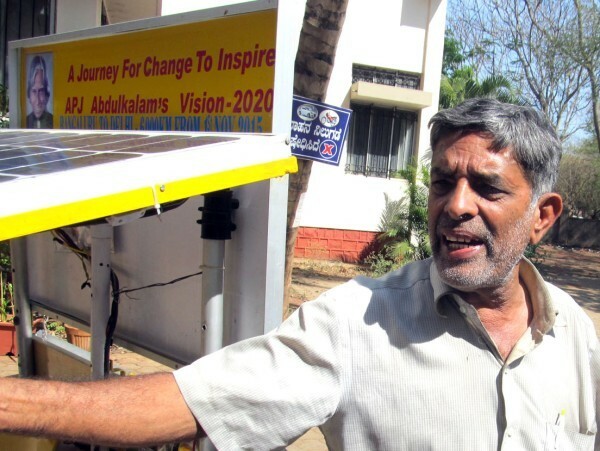 This 63-year-old Syed Sajjad Ahmed is on a mission in his self-made solar-powered electric car so that he ignite the youth about Dr.APJ Abdul Kalam”s Vision 2020. He began this journey on November 1 from Raj Bhavan at Bengaluru to Rashtrapati Bhavan at New Delhi and made a brief halt at Belagavi on his return journey. The self made solar car weighs about 400 kgs and has a max speed o 30 kmph and each day the car can travel about 40 kms and 100 kms with a battery back up. Covering 6000 kms was not easy but he had aimed to spread the message such as `Swasta Bharat to Wealthy Bharat’ and `Clean Bharat to Healthy Bharat’. The car has 5 solar panels that have a capacity of 100 watts. Syed, who had received the World Environment Day Award 2006, had earlier developed an electric two-wheeler, and three- wheelers for differently abled. 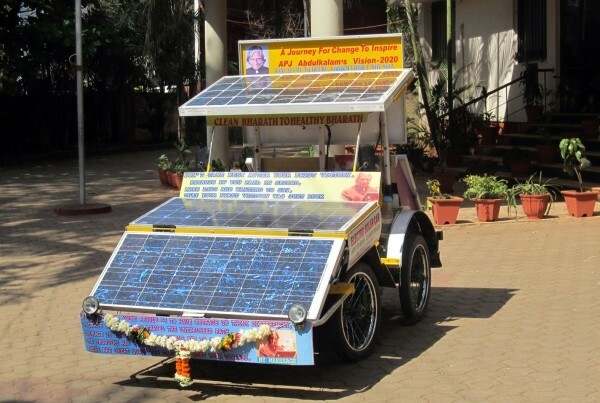 Later he got into making a solar-powered four-wheeler worth Rs 1.5 lakh.